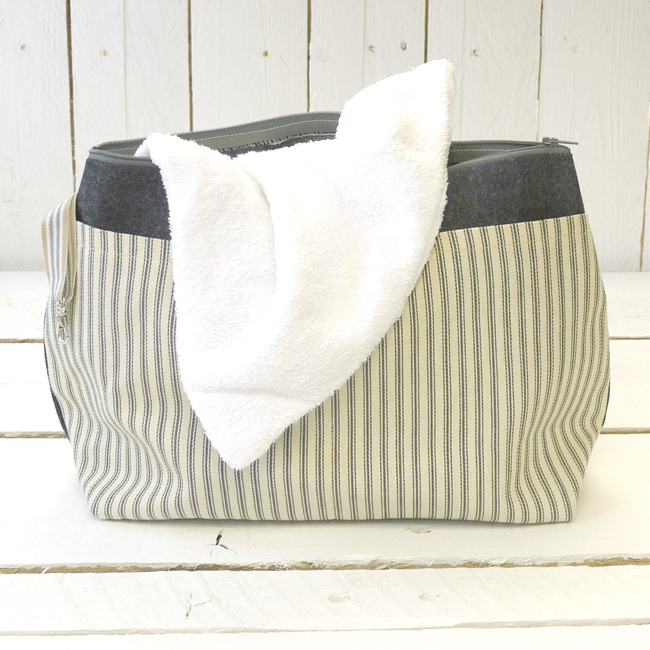 A unique and original changing mat handbag created and handmade right here at Bunny HQ. Designed for those *spontaneous* popping out for fresh air and sanity moments. 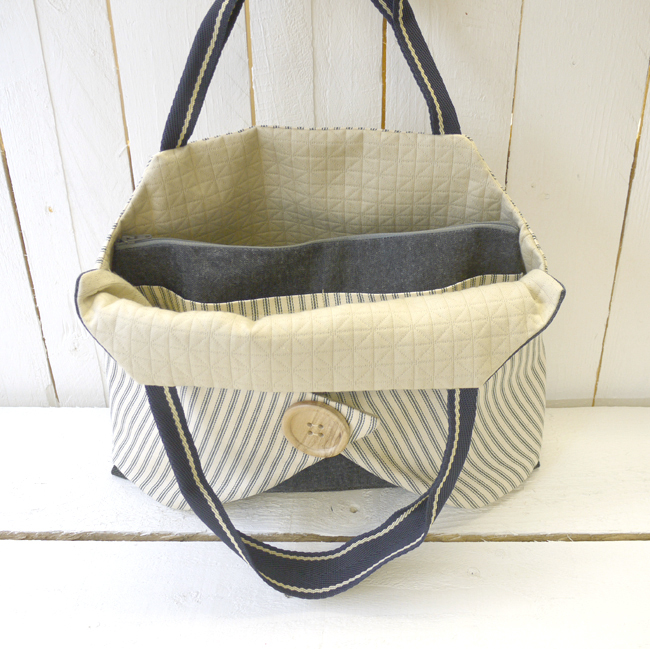 It is a perfect over the shoulder bag for a trip to the park or a coffee morning with friends. 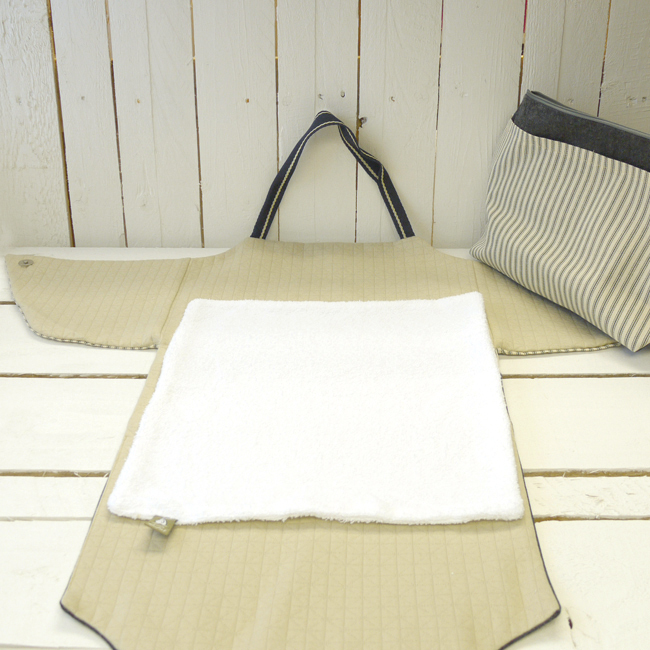 This changing mat bag is light weight and washable. The lift out pouch bag holds an additional towelling square for extra protection against those unpredictable explosive moments. 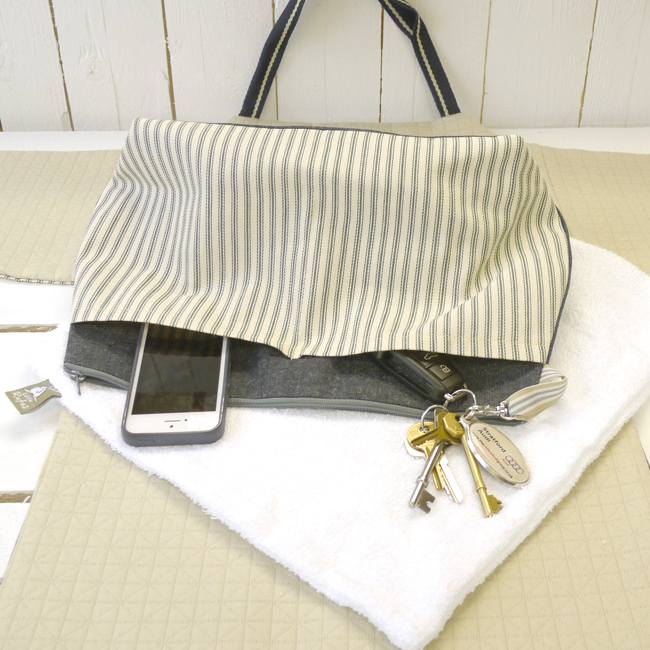 And it has pockets for your phone and purse plus a little clip to keep your keys safe. 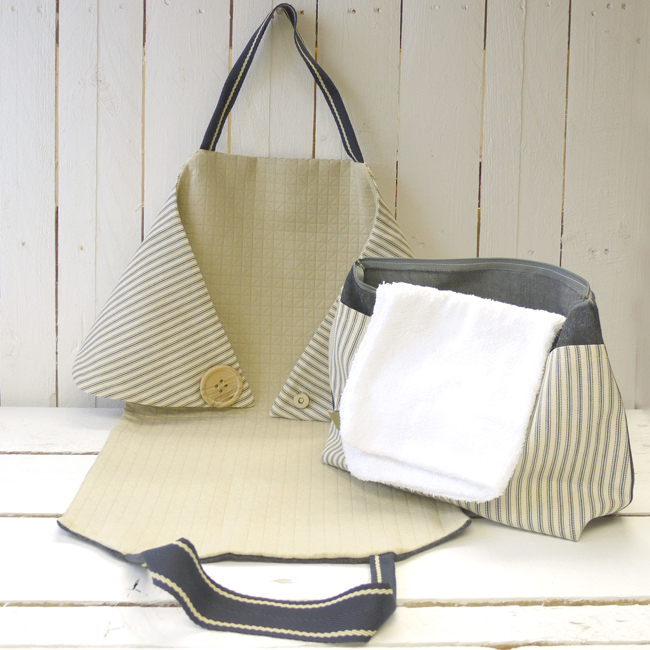 The pouch is large enough to hold all the essentials such as nappies, wipes, a change of clothes. Plus you can easily squeeze in a bottle of milk too. 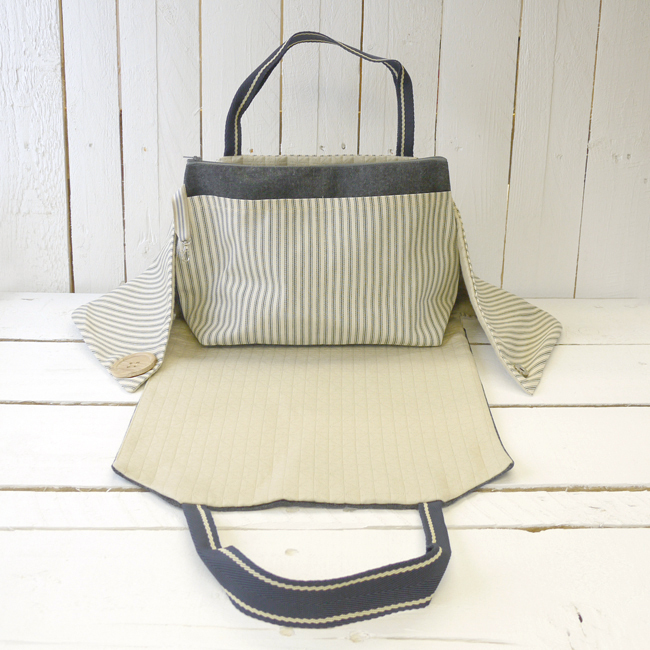 I know, it sounds perfect doesn’t it and it has the added joy of looking nothing like a baby bag. Handbag dimensions w:40cm x h:35cm x d: 12cm. Open length is 67cm. 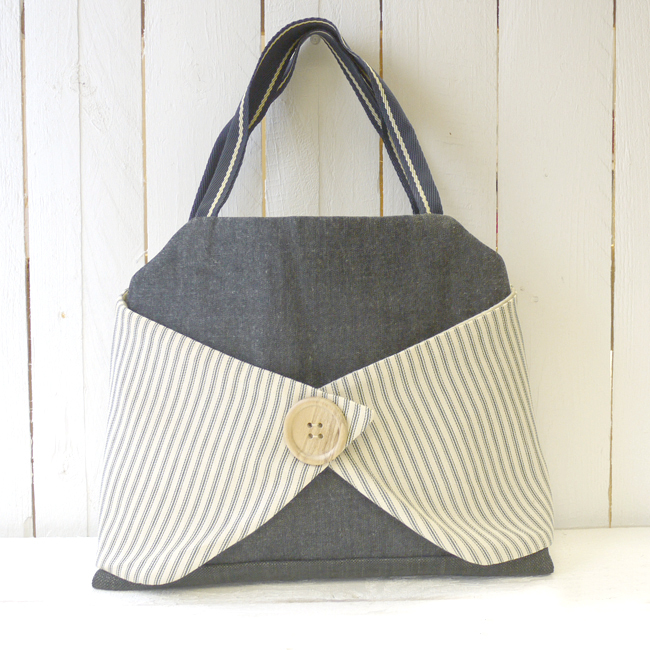 Created in denim cotton and a french ticking printed stripe with a lightly quilted stone colour lining. The large decorative wooden button covers a magnetic clasp fastening.